View Your CSS Layout Toolkit for 2019 on Notist. As we head into the final quarter of 2018, let’s take a look at where we are with CSS Grid Layout, and CSS layout in general. In this talk you will learn the key elements of layout. The things you need to know as you plan your projects now and into the next year. 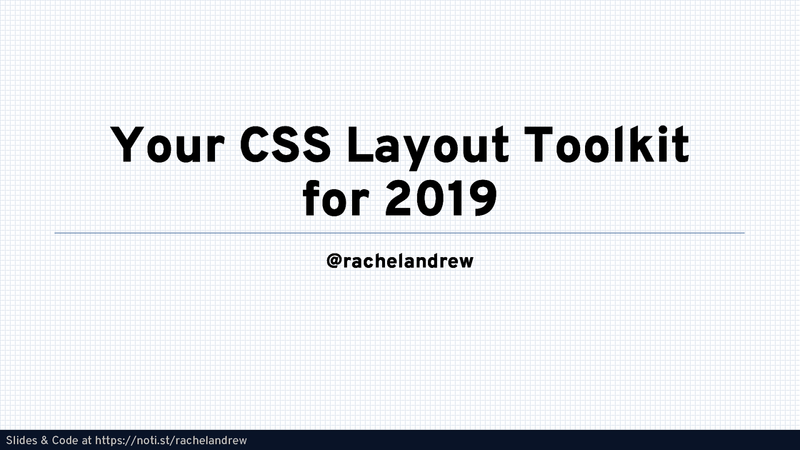 Rachel will take you on a tour of what we have now and what is coming next, with plenty of practical advice and takeaway code examples, so that you can start to use these features in your own work.